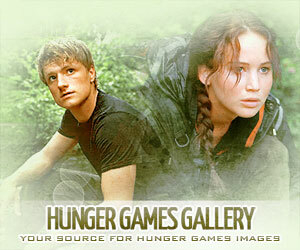 Happy Friday, tributes! 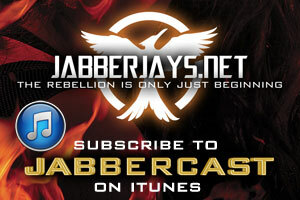 We’ve got another episode of JabberCast for you to listen to over the weekend. With Episode #5 – Uprisings, Real or Not Real? we discuss the Berlin set photos, why Woody Harrelson could be in District 2 or 8, the announcements of The Hunger Games Exhibition and the new mobile game, and uprisings, both real and not-quite-real. We were happily joined by Joshua Chislett of Joshua Chislett Films, who is currently doing a crowdfunding campaign on IndieGogo for his Finnick Odair Fan Film. Listen as he gives us some non-spoiler details about the film, his production, and when he thinks the release will be. We’ve also got something new: TweetTalk! We asked for questions on Twitter and answered a couple this time around. Thanks to those who participated! Be sure to let us know in the comments what you think about our discussion! Next: Has Lionsgate Been Showing ‘Mockingjay’ Propos Since 2011?